In August, C-SPAN announced its plans to broadcast 100 Senate, House, and Governor debates in the run up to November’s midterm elections, which take place three weeks from today. 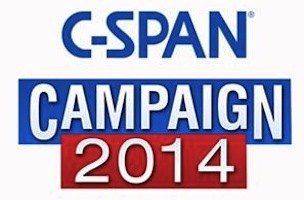 And as that date approaches, C-SPAN’s coverage of some of the country’s most competitive races is picking up. Tonight, C-SPAN will broadcast Senate debates taking place in Arkansas and Louisiana as well as Governor debates in South Carolina and Oregon. See the lineup across C-SPAN, C-SPAN2, and C-SPAN Radio for Tuesday, October 14 after the jump.